Twelve-year-old Brine Seaborne is a girl with a past–if only she could remember what it is. Found alone in a rowboat as a child, clutching a shard of the rare starshell needed for spell-casting, she’s spent the past years keeping house for an irritable magician and his obnoxious apprentice, Peter. When Brine and Peter get themselves into a load of trouble and flee, they blunder into the path of the legendary pirate ship the Onion. Before you can say “pieces of eight,” they’re up to their necks in the pirates’ quest to find Magical North, a place so shrouded in secrets and myth that most people don’t even think it exists. If Brine is lucky, she may find out who her parents are. And if she’s unlucky, everyone on the ship will be eaten by sea monsters. It could really go either way. The open sea always takes people on magical adventures, and that’s exactly where it takes the characters in The Voyage to Magical North. 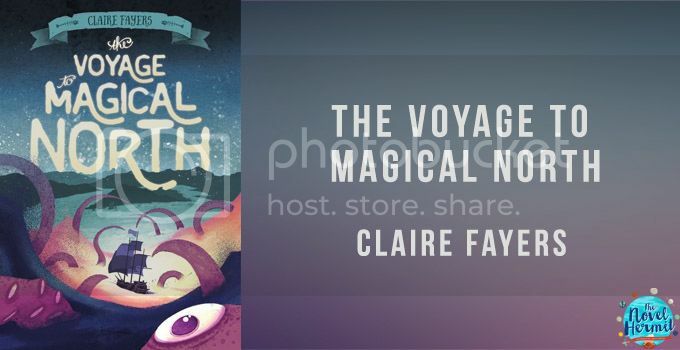 On this voyage, Brine Seaborne, a girl with no memory of her past or her name and is allergic to magic, and Peter, a magician’s apprentice, find themselves on the run after stealing a rare starshell, a source that pulls magic, from the magician they work for. They are saved by the legendary pirates of the Onion, and are roped into a quest to find the Magical North, a supposedly mythological place that holds many secrets. On the way, they encounter magic, an evil magician, sea creatures, new lands, and an awesome adventure you’ll want all hands on deck for!